To get on the waiting list, click the Waiting List tab below, and then find your size to sign up. 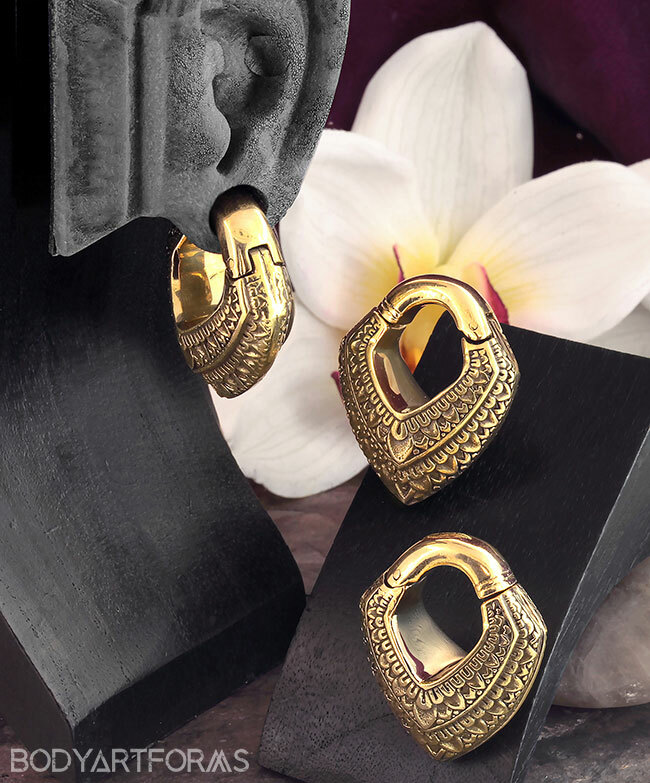 These solid brass diamond weights have an ornate, lotus inspired layering pattern that trace down the point of the diamond shape. For sizes 0g and larger. These weights have a clicker mechanism for easy opening and closing.